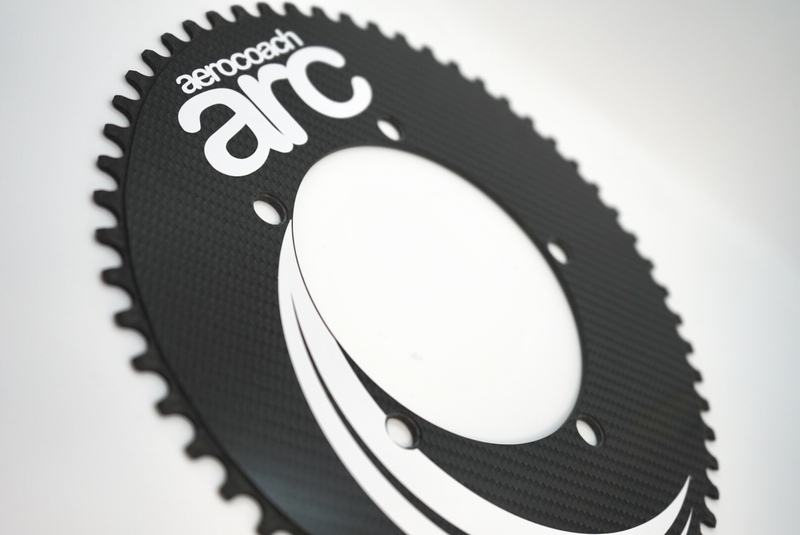 The AeroCoach ARC is the world's first TT specific noncircular 1x chainring, specifically designed for the pedalling characteristics of time trials, in a full carbon aero single chainring design. Now with new 52t aluminium triathlon\/training option! The carbon ARC chainrings are thinner than a normal chainring, and so in some cases placing spacers in between the ring and spider will improve chainline if the chainline is less than standard. 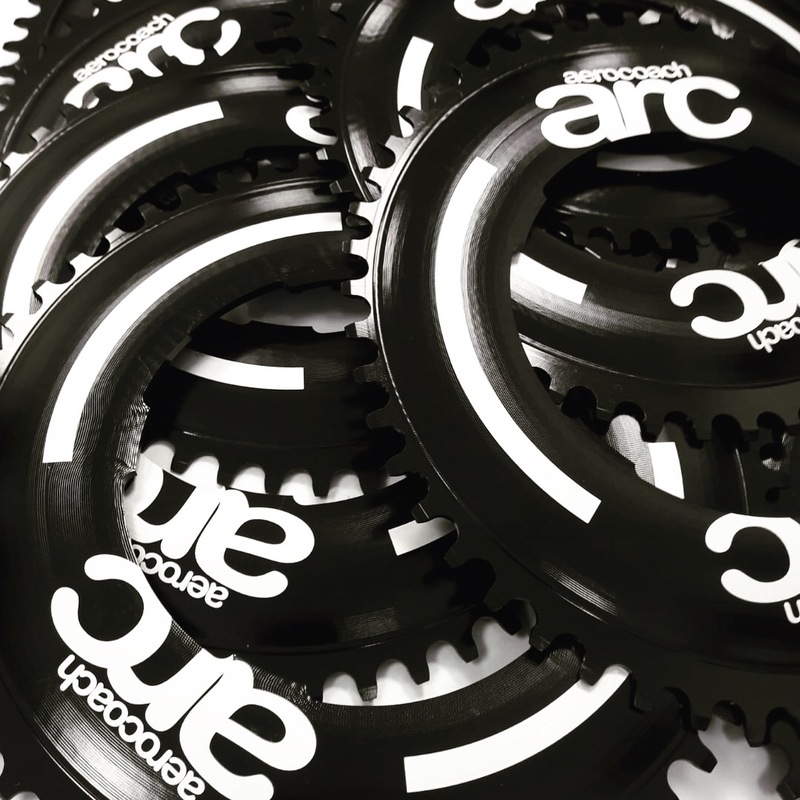 Please ensure that the chainring is protected at all times when not riding the bike, and that framesets with no wheels on are not rested with the chainring touching the ground, as ARC's long teeth will protrude and may get damaged. 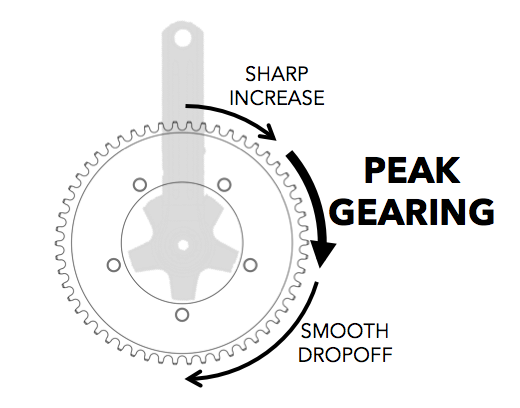 Chainring bolts should be tightened to 4-5Nm. 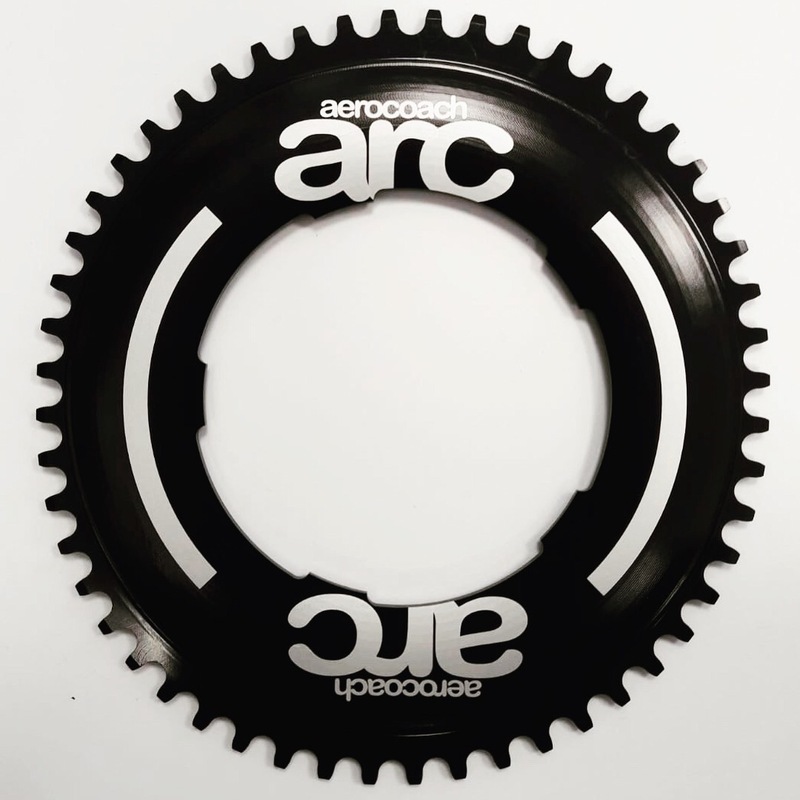 The AeroCoach ARC is the world's first TT specific noncircular 1x chainring, specifically designed for the pedalling characteristics of time trials, in a full carbon aero single chainring design. Now with new 52t aluminium triathlon/training option! Weighing in at only 112g (54t), the solid aero 1x ARC allows you to remove the front derailleur for even further aerodynamic gains due to the special tooth design to retain the chain. The ARC's subtle shape is designed to mimic the firing patterns of your leg muscles whilst riding, increasing the gearing size when you most need it. 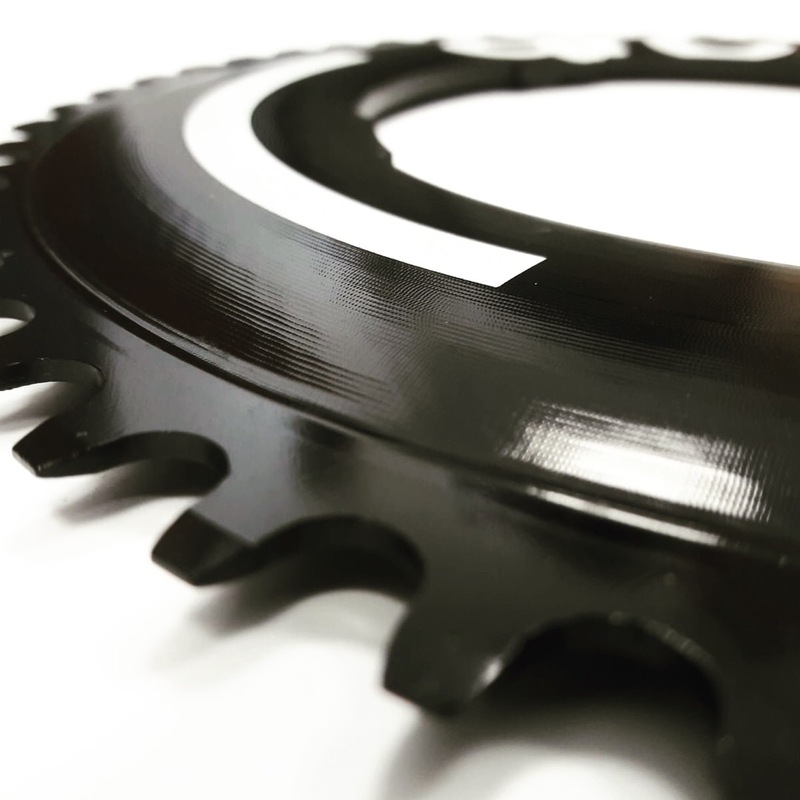 We advise to shorten the chain 1-2 links, ensuring that there is still sufficient length in the largest sprocket on the rear for best chain tension. The B screw on the rear mech should also be set to improve chain tension, please refer to the manufacturer's details for adjustment. * Based on residence in United Kingdom. Tax rates for other countries will be calculated at the checkout. Price exclusive of tax: £79.17.